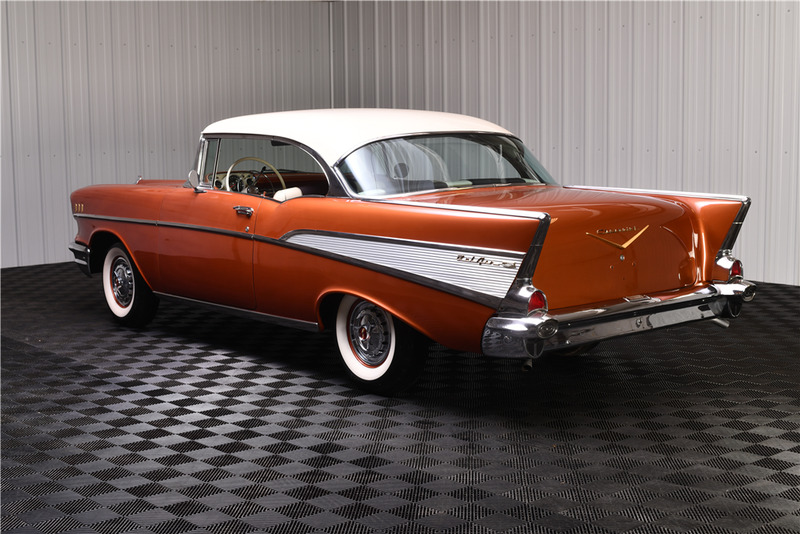 Beautiful 1957 Chevrolet Bel Air 2-door hardtop powered by a matching-numbers 283/245hp engine with dual 4-barrel carburetors and an automatic transmission. 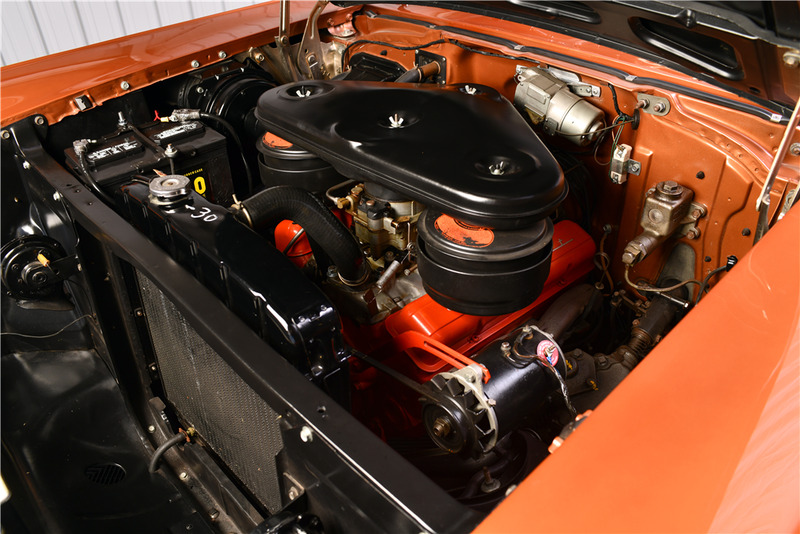 It has been frame-off restored and received the 985-point Gold Spinner Concours Award. 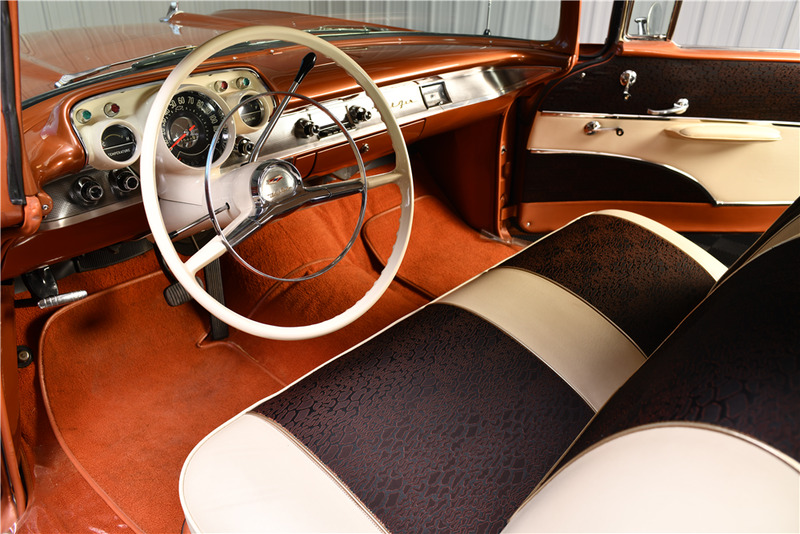 Some of the other included options are the electric wipers, whitewall tires, push-button radio, one-piece front bumper, rocker moldings, spinner wheel covers, dual rearview mirror and deluxe heater finished in its original colors of Sierra Gold. It's been recently wet-sanded and polished and is a high-end, highly restored 57 Chevy. A select offering from the Bryan Frank Collection.